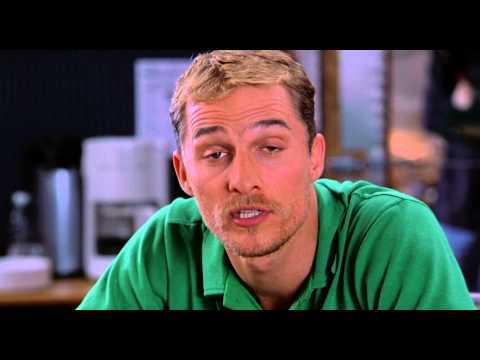 6 LISTS Alright, Alright, Alright!Matthew McConaughey is a dynamic actor from Austin, Texas. He's best known for his iconic roles in Dazed & Confused, True Detective, and The Dallas Buyer's Club. The best of Matthew McConaughey's romanic comedy roles that appear on this list are sweet, funny, and a little bit cheesy - all the makings of a classic rom-com. McConaughey's adorable southern drawl is enough to make any of his onscreen leading ladies melt, and his impeccable comedic timing is sure to bring home the laughs. Whether you're a fan of his determined, game-playing character in How to Lose a Guy in 10 Days, or his stubborn, immature character in Failure to Launch, this list of the best Matthew McConaughey romantic comedies is sure to feature some of your favorites. If you enjoy this list, you should also check out the list of best Jennifer Lopez romantic comedy roles. Check out this list of Matthew McConaughey's most iconic romantic comedy roles, and enjoy the movie trailers as well.